Andy has spent the past four years helping us serve the financial needs of area businesses through the U.S. Small Business Association Certified Development Company (504) program. 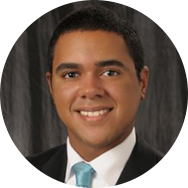 Prior to joining us, he served as a Credit Assistant and Financial Analyst for Anderson Merchandisers as well as five years working with the Panhandle Regional Planning Commission. In addition to his education at West Texas A&M, he recently completed a four-part economic development program, REDI.